Executed in 1997-2000. This work is one from a series of five works, each uniquely painted. 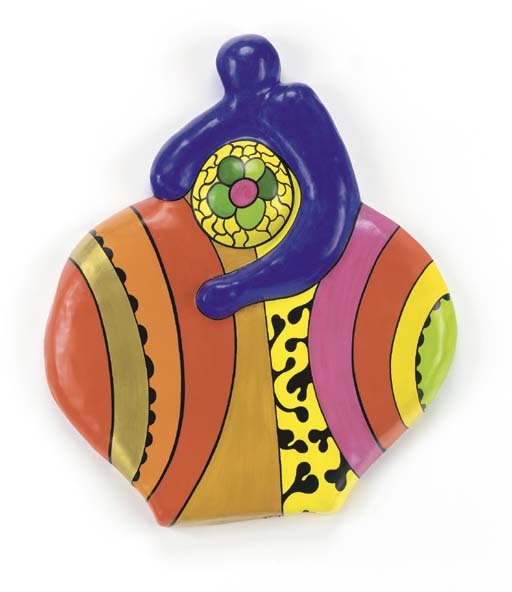 Niki de Saint Phalle, Insider/Outsider-World Inspired Art, exh. cat., Mingei International Museum, San Diego, 1998, p. 3 (another example illustrated in color). Niki de Saint Phalle Catalogue Raisonné: 1949-200, vol. I, Lausanne, 2001, p. 302, no. 661 (another example illustrated in color). Amsterdam, Gallery Delaive, Niki de Saint Phalle, October 1998 (illustrated on the invitation).